This double sided paper has Journaling Cards on the frontside while the reverse side has Dots, Stars & Moons. 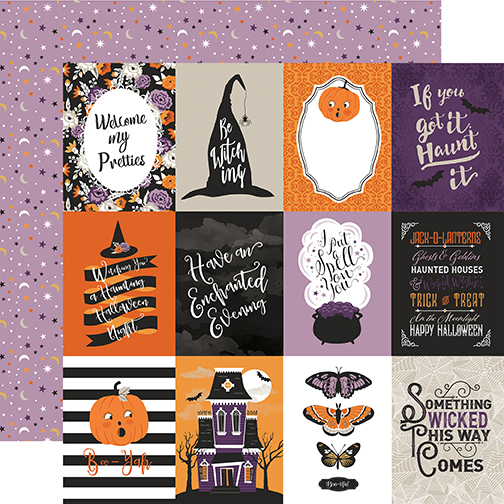 Part of the Bewitched Halloween Collection by Echo Park Paper. Look for other coordinating papers.